• The prime minister General Prayut Chan-o-cha has instructed a committee on strategic administration to create guidelines for government procurement with a focus on transparency and people’s participation. The ‘integrity pact’ will be applied while the new government procurement act is devised. Foreign companies with at least Bt5 billion (about US$142.816 million) ‘might’ be allowed to bid for government contracts. • The Thailand government sub-committee charged with preparation for the promotion of reconciliation and unity continues to hold meetings with Thailand political parties. Once the meetings are complete the sub-committee will prepare a report for another sub-committee to consider. Deputy Prime Minister for public security and Minister of Defence General Prawit Wongsuwon warned that people should refrain from creating conflict that will hamper the attempt for reconciliation. • Deputy Prime Minister General Prawit Wongsuwon said that the government’s view is that the controversial proposed Krabi coal-fired power plant proceed to ensure that there is energy security for Southern Thailand in the future. He said the proposed power station would utilise the latest technology to process coal in an environmentally way. Prime minister General Prayut Chan-o-cha has ordered related agencies to review the Environmental Impact Assessment (EIA) and the Environmental Health Impact Assessment (EHIA) studies performed previously. • The Peace Centre of the Internal Security Operations Command (ISOC) has organised a peace forum for the Southern border provinces and invited village head men, community leaders and volunteers, including the general public. The discussion is aimed at creating a conducive atmosphere for peace talks, understanding, and trust between sectors. Suggestions raised will be submitted to the government. 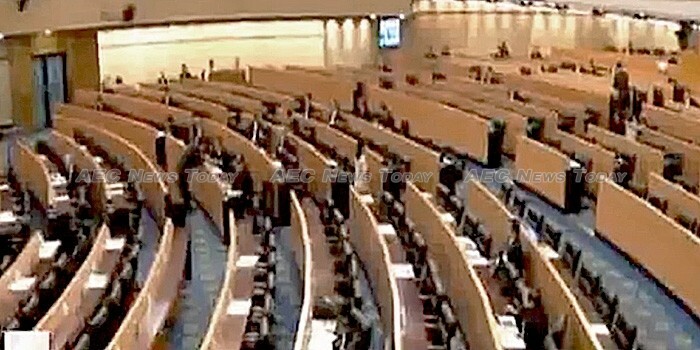 • Thailand’s National Legislative Assembly (NLA) will launch a probe into seven members for regular absenteeism. Deputy NLA speaker Peerasak Porchit said that it is a serious case of misconduct that could result in the termination of their membership. • Many provinces in Thailand have began experiencing drought affecting both people and animals, particularly in Phichit Province where conditions are said to be severe. • The Institute for the Promotion of Teaching Science and Technology (IPST) is hosting a STEM (science, technology, engineering, mathematics) showcase highlighting numerous examples of local and international award winning projects developed by Thais in the STEM disciplines as part of the governments education development policy. • Deputy Prime Minister for Economic Affairs Somkid Jatusripitak has urged Thailand trade representatives globally to help bolster Thai exports, setting a target of 5 per cent growth for 2017 after 2016 Thailand exports returned to positive growth after three years of contractions.